Is Your AC Manufacturer Ignoring the Servicing Complaint? That's a terrible thing to happen in the hot and humid summer! Lack of AC will literally make you sweat out. There could be various reasons behind it such as the cooler is not working, the gas needs refilling, wind speed, humidity control, failure of electric control or sensor problem. In order to resolve these issues, you need expert help. The company from which you have bought your AC is supposed to provide servicing. It could be in warranty or out-of-warranty. Let's talk about in-warranty servicing here. When you buy an AC, the manufacturer usually provides a comprehensive warranty of 1 year, and also warranty on compressor for 5 years. A company also specifies in its product information brochure that their its obligation is limited to repair or replacement of part (s) only. So, unless your purchase does not fall under any exceptions specified in the company's documentation, you are entitled to get servicing for your air conditioner. However, often customers receive indifferent treatment from AC companies, and you could be one of them. According to a report released in December, 2014, the AC market will witness a significant growth during 2014 and 2018. 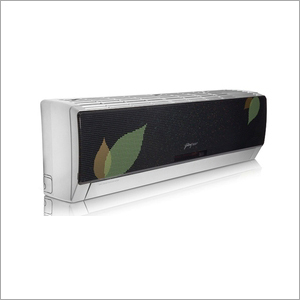 The growth will be even more prominent in the energy-efficient, eco-friendly, hybrid and non-pollutant air conditioners. However, the potential growth cannot be actualized without focusing more on resolving customer issues. Is Poor Customer Service Adding to your Summer Woes? Despite being eligible for in-warranty servicing, if your AC Company is showing no interest to fix your problem, you need to take an immediate action. Though, before that make sure you raise your issue with the company's customer care department in written. It could be a mail with acknowledgement or an email to the grievance redressal department. Despite that, if nothing happens, you need to consult the right parties and lodge your complaint. you do not receive the necessary service, you are legally eligible to bring it to the notice of the right authority under the Consumer Protection Act, India. Hence, a company cannot simply get away with their shoddy services. In order to wake your AC manufacturer from its slumber, you can consult experts who can communicate and coordinate with the company's customer redressal unit to accelerate the resolution process. You can also check online for such a service provider and let them know about your issues in detail with adequate documentation. There have been instances when it took several years to get a resolution from consumer courts. However, with the help of professional services, such issues can be resolved within much quicker turnaround time.